Evernote's Web Clipper allows you to clip a "simplified article" when clipping from a website. This feature gets rid of the side bars, ads, etc and just copies the article (occasionally it doesn't work depending on how the site was built, but it works most of the time.) It's a great way to just clip the article and not the distractions, making it easier to read, as well as taking less time to clip and using less storage space. 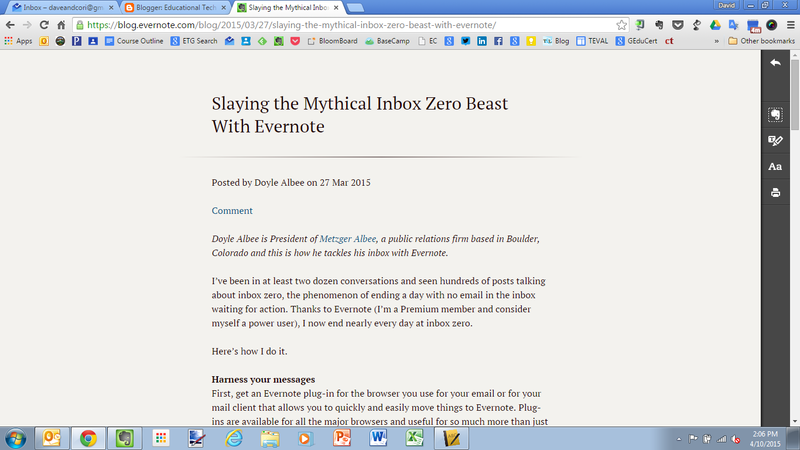 Evernote also has a stand alone browser extension that does basically the same thing, called Clearly. 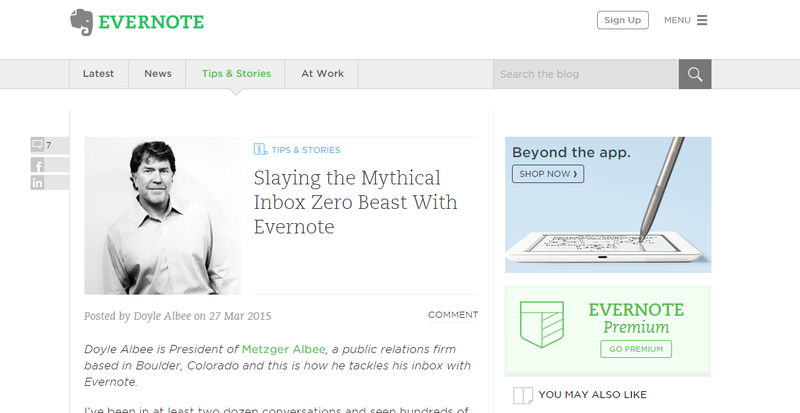 Evernote Clearly is a browser extension that allows you to read online with less distractions. You simply click the extension and it hides all the distractions from blogs and articles, allowing you to read with less distractions and more easily. It use it a lot, especially on sites that have a ton of ads or side bar items. This is great for students who have issues with distractions and makes things easier to read. Simply install the extension and click on it when in an article. 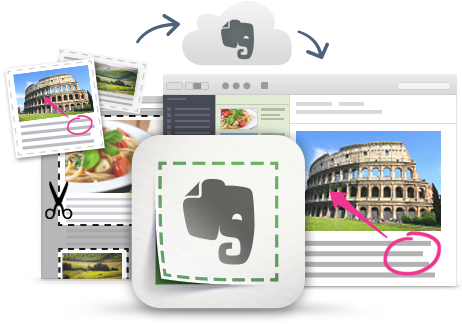 From there, you can clip it to Evernote, highlight, annotate or even print.